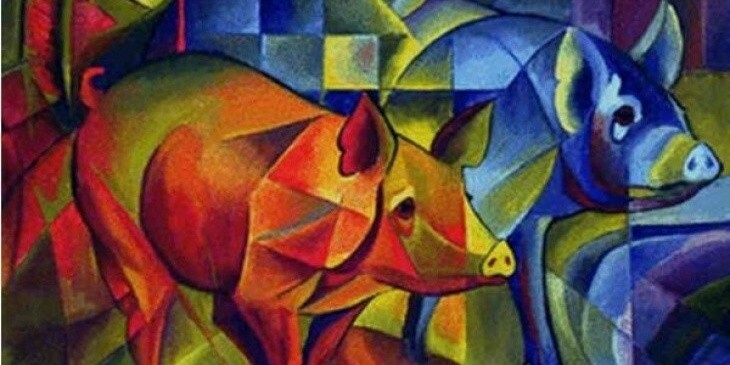 The Most Famous Paintings of Russian Artists. Paintings of Russian Artists are unique masterpieces of the world art. 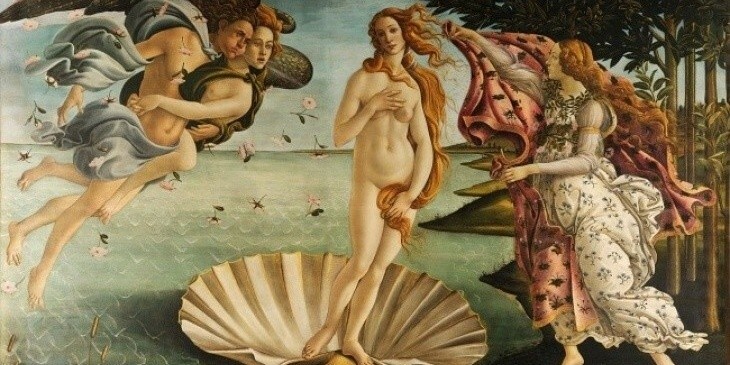 These paintings are impossible to forget once you see them in museums. Russian artists worked in different genres, but each work converts the beautiful and the eternal. Just have a look at one of them, and you will find yourself in a cool oasis of peace, hope, joy and inspiration. Paintings of Russian artists can boast both amazing colours and fine lines, and they can also answer questions about the very meaning of life . The Morning in a Pine Forest - Ivan Shishkin, 1889. Canvas, oil. The picture is very bright and so realistic that it rather looks like a snapshot of a forest landscape than a masterpiece made with the help of a brush and paints. Every detail is painted professionally, with love and awe. The masterpiece is imbued with the admiration of flora and fauna and filled with harmony. Girl with Peaches - Valentin Serov, 1887. Canvas, oil. This picture was painted by Valentin Serov in 1887, and is one of the most significant canvases of the painter. Now this work still amazes the viewer with its freshness, lightness, warmth and joy as well as it did may years ago when it was created. 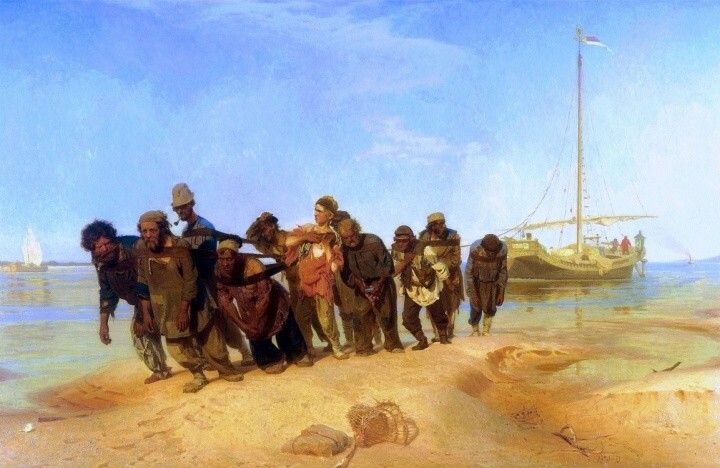 Barge Haulers (Burlaki) on the Volga - Ilya Repin, 1870-1873. Canvas, oil. Due to the contrast between the string of slaves and the wide expanse of full-flowing Volga with a white sailboat in the background (unconsciously associated with the viewer's freedom) the master managed to pass a verdict on the contemporary society that is cruelly enslaving the deprived. 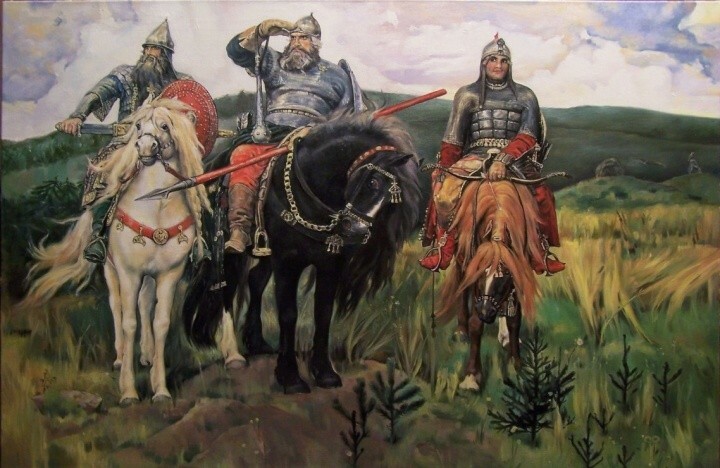 Three Heroes (Bogatyrs) - Viktor Vasnetsov, 1898. Canvas, oil. 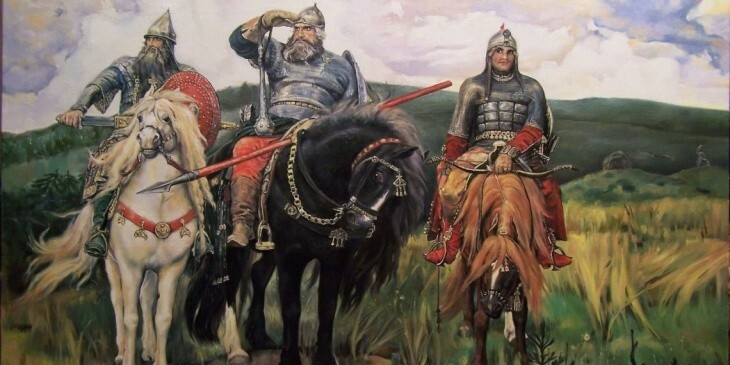 The picture of Victor Vasnetsov "Three Heroes (Bogatyrs)" is considered a true national masterpiece and a symbol of Russian art. 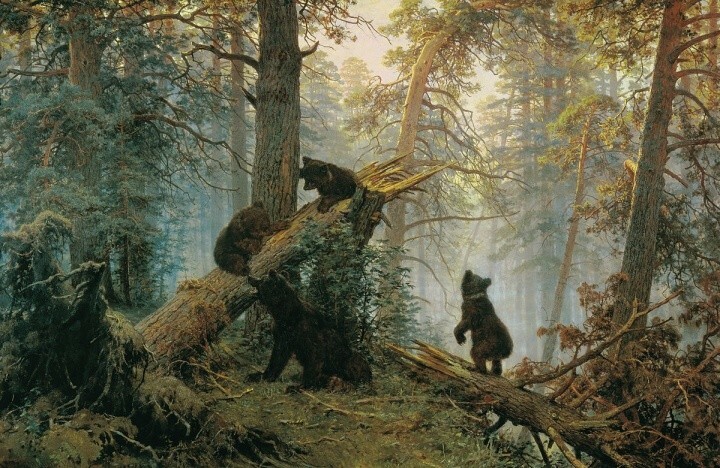 The picture was created in the second half of the 19th century when folklore themes were very popular among Russian artists. 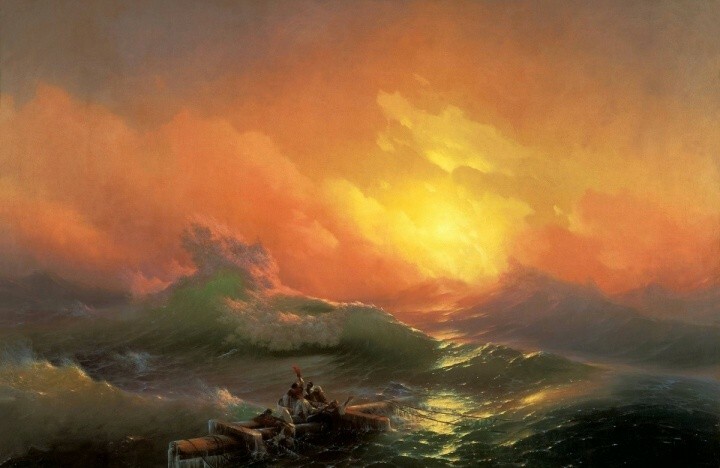 The Ninth Wave - Aivazovsky, 1850. Canvas, oil. As soon as this picture was painted it became the best known of all the works by Aivazovsky, and was acquired by Nicholas I. It depicts the sea after a night storm and people facing death attempting to save themselves by clinging to debris from a wrecked ship. The painting has warm tones, and a chance for the people to survive seems plausible. 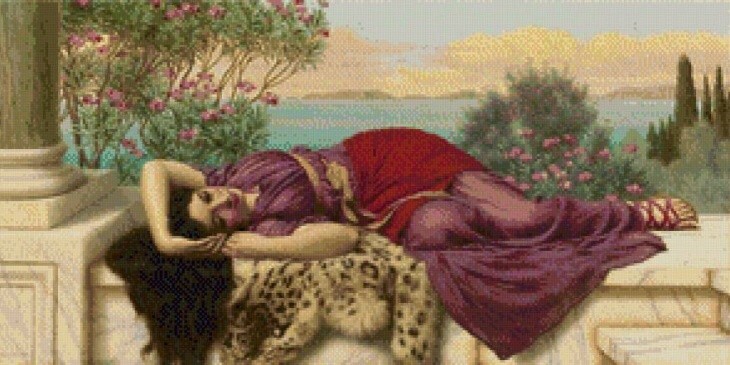 The painting shows the destructive side, and beauty of nature. 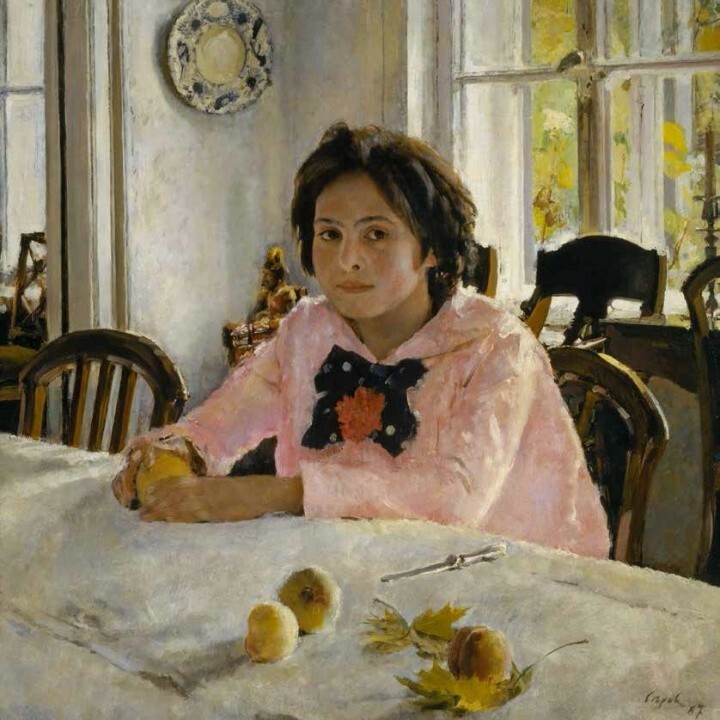 Paintings of Russian Artists subtly convey people's life, their culture and temper. Landscapes, folk tale heroes, portraits and genre pictures of the famous Russian painters are part and parcel of our national heritage .